RAWR. Where’s my creme rinse? There’s a thing with Wookies. They get VERY tangly. 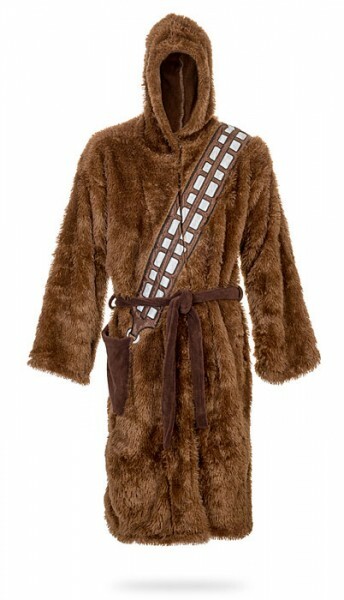 So keep your Wookie covered in creme rinse, and a fuzzy, warm robe, like this Star Wars Chewbacca Bath Robe. It’s guaranteed to put a smile on your face AND his. And really…who doesn’t love a happy Wookie? Looking for more fun gifts for Dad? Check out our Disney Holiday Gift Guides! Hahaha! I think that would scare me half to death if my husband was walking down the hall at night wearing that.